David C. Bruffett, Jr. is a partner in Azria & Bruffett PLLC. Mr. Bruffett defends individuals charged with felony and misdemeanor criminal offenses, including white-collar crimes, in both New York State and Federal courts. David also represents those individuals who have been charged with Driving While Intoxicated related matters and other violations of the New York State Vehicle and Traffic Law. Mr. Bruffett also counsels municipalities and governmental agencies with regard to claims and suits alleging municipal liability. Mr. Bruffett served as an Onondaga County Assistant District Attorney in the Special Victims Unit and a Renssalaer County Assistant District Attorney in the Major Crimes Unit. Mr. Bruffett was elected in 2012 to a four-year term as Cicero Town Judge. Additionally, Mr. Bruffett served as an Environmental Consultant for the Galson Corporation. Prior to forming Azria & Bruffett, Mr. Bruffett worked on numerous civil and criminal matters with the Syracuse-based Sugarman Law Firm. He has been a lecturer for the New York State Office of Court Administration and is a current board member of the Albany Law School National Alumni Association Board of Directors. Mr. Bruffett is a Youth Coordinator for the Knights of Columbus in Cicero, New York and a member of the Albany Law School Mentoring Program. He is also a member of the Onondaga County Magistrates Association and the New York State Magistrates Association. A member of the Onondaga County, New York State and American Bar Associations, he is admitted to practice before all New York State courts and U.S. District Courts for the Northern District and Western Districts of New York. What type of damages can I get in a personal injury case? 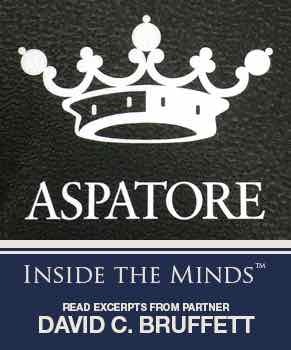 Read excerpts from partner, David C. Bruffett's, chapter published in: "Inside the Minds: Strategies for Defending DWI Cases in New York" by Aspatore Books. David C. Bruffett, Jr., Esq defends individuals charged with crimes all over western and central New York, including Erie, Onondaga; Cayuga; Cortland; Madison, Oneida, Oswego, Jefferson, Lewis, St. Lawrence, Herkimer, Seneca and other counties in New York State. The information on this site is not legal advice, it is Attorney Advertising intended to educate potential clients about their need for legal advice and assist them in obtaining a lawyer appropriate for those needs. Use of this site does not create an attorney-client relationship. Every case is different and every person should consult a lawyer to asses their particular case. If you think this office can assist you please contact us for a free consultation. Prior results do not guarantee a similar outcome.